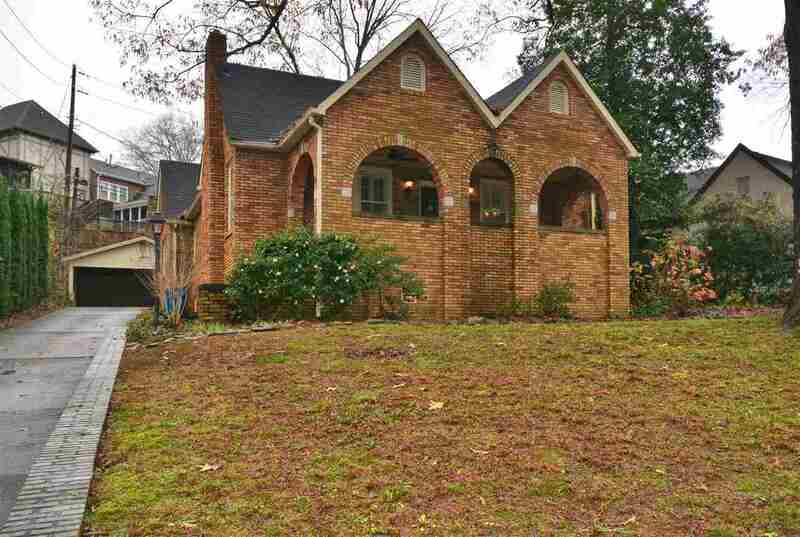 1901 Kensington Rd, Homewood, AL.| MLS# 835026 | Richard Jacks UABLIVING.com 205-910-2297 | Birmingham AL Real Estate | Contact us to request more information about our Homes for Sale in the Birmingham AL area. Located on beautiful Kensington Road in Mayfair, this is your opportunity to purchase this handsome English Tudor home with archways throughout. Living room, large formal dining room, kitchen with separate breakfast area complete with butler pantry, three Bedrooms, two full bathrooms, and laundry room on main level.! Double french doors off main hallway to third bedroom could be a media room. A cozy bonus area and extra storage is located on the lower level. There is no wasted space in this home. Exterior features a great front porch, detached garage and patio in backyard. This home is a MUST See! Driving Directions: Hwy 31, Turn Onto Mayfair, Left Onto Wellington Rd., Right Onto Kensington Rd., House On Left.